Summer Book Club Kickoff Success! Our guest author, Elvira Woodruff was charming and thoroughly delightful as well as incredibly inspiring! 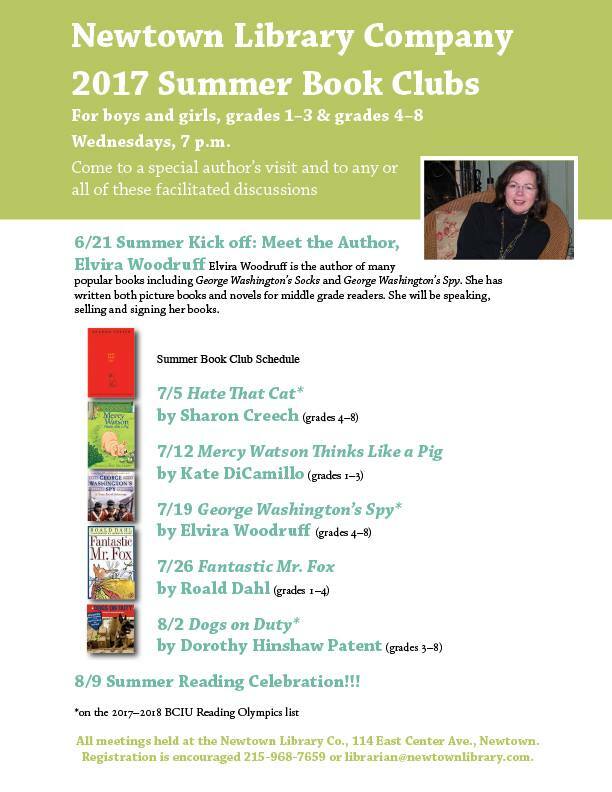 Hope to see everyone in two weeks to discuss Hate That Cat by Sharon Creech! 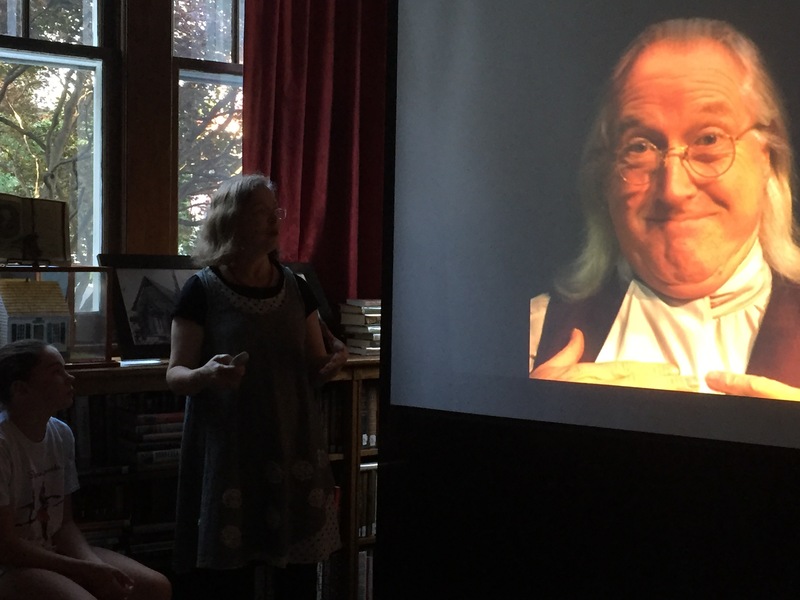 Elvira Woodruff talking about being inspired by Ben Franklin in front of Newtown Library Company’s historic Ben Franklin sign and only inches from our collection of books published by Ben himself in his Philadelphia print shop!! Summer Book Club Kick Off! !